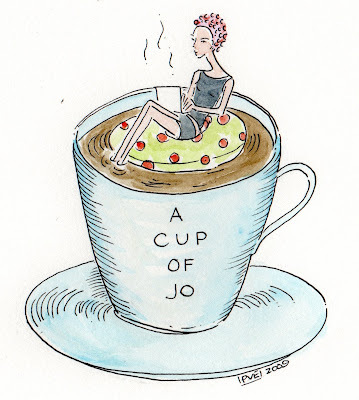 "A cup of Jo, this gal's cup runneth over"
Pour yourself a cup of Jo and drink to this birthday gal. I find myself smitten in her daily artful posts full of stunning photos, clever kisses, bikes, and stylish things. Hop on over and leave her some sugar, like a sweet comment and a b-day wish. 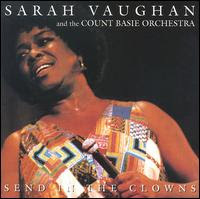 Sung by one of my favorite singers, Sarah Vaughan. A week of sadness, the loss of the magazine Domino and more lay-offs, we need some music, some laughter - time to send in the clowns. I would have added this song, but my technical abilities lack, I know, "Isn't it queer." I want to go to the Carlisle and have a Manhattan and hear this song. Do you think it is time to send in the clowns? What are you listening to or laughing about? As an artist one of my favorite things about what I do is the research, the scouting and the honing in on what will suit the client and or recipient of my work. My net captured this social butterfly which was illustrated to symbolize a perfect beginning. - spreading her wings and fluttering about with such beauty. 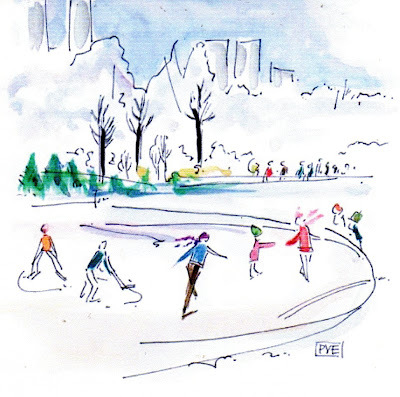 Take a moment to visit this "Joy of all trades" - bringing grace to whatever she touches. You will always find something perfect to begin your day. 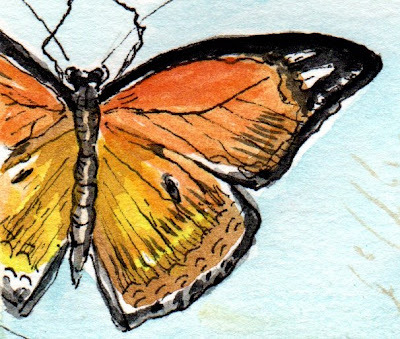 The "butterfly effect" is a known phenomenon that the fluttering of one butterfly all the way in Rio can effect a change in Chicago. Sounds sort of like "blogging" - right! Now who doesn't like a perfect beginning or a happy ending, which do you prefer? Part of being dedicated to art and to create one's own unique vision requires that of a "good eye." Think of those that have gone before and imagine what they saw, I cannot help but go about my day and be reminded of the importance of a good eye. The above confrere gives me the eye each day. He provides a constant "nudge" to my day. Often, I think I hear him say, "Carry-on, Stop procrastinating and just do it." I call him my "Nobleman." It is all tempered by "Lady bountiful", full of concern, a bit red in the cheek and telling me to take a break and go easy. She looks a bit weery and lacking at the same time so she is that gentle push to make me want to lollygag or book an appointment for some sort of treatment, perhaps a facial. Then there are these sweet young things that were painted by my sister. These eyes belong to my youngest child and they have that look of "ready to go"- excited to see and take it all in. At the same time, they also have that look of "me do it" and the pride of showing her very own mother what she just saw with her little eye. We have played countless games of eye spy with my little eye, the apple of my eye. What do you think it makes to create a good eye? Are you born with it, is it innate or is it through seeing that we develop a good eye. Tell me, do you have a good eye and what is eye-catching to you now? I feel very shiny and proud to be part of the collection of "self portraits" - Miss Otter has kindly included my portait here today. Hop on over if you have a minute to one of my favorite creative spots. She makes the most lovely journals should you have an addiction like mine, that is to collecting them. Meet Bailey. Bailey is waiting patiently to go for a promenade outside, then back home for a treat served on a silver platter and after that a wee nap by the fire. Does that sound good to you? I was "over the moon" to meet the talented and dreamy Mrs.Blandings along with the beautiful Mademoiselle Eerdmans at the Winter Antiques Show in New York City. Communicating via cyber-space has been a trip, but meeting in person is truly the best, especially while perusing rare collections at the Winter Antiques Show. 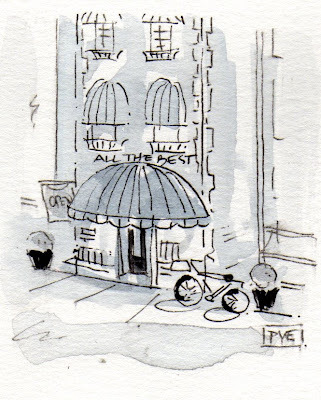 Thanks to Emily E. Eerdmans, she was a fabulous hostess and managed to break away from her post at Hyde Park Antiques. We each spoke of the world of blogging and the amazing community of talent, and extraordinary relationships which take-off via blogging. 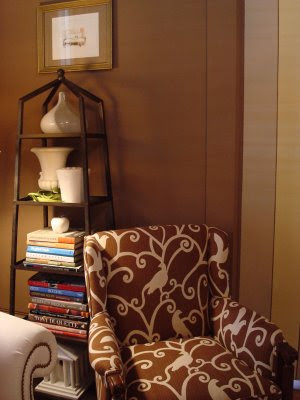 Left to right, (Mrs.Blandings, pve design, Emily E. Eerdmans) standing in one of my "favorite" rooms at Elle Shushan which was wallpapered in a delicate floral stripe from Brunschwig. Delicate paper birds perched high along the walls, the limestone paper grounded all these ever so delicate portraits. Magnifying glasses were provided for an even closer look, they were hung on strands from the wall which I thought was clever and thoughtful. If you look closely - you will see the birds near the top of the photos. Do you see those devilish magnifying glasses hung below, sweet touch, especially for me. I love details, the birds and the humor of this space. The collection of miniature portraits are incredible. You can learn more here. The depth and richness of color was exquisite in person so please forgive my photos as they truly do not do this justice. Treat yourself to attend the Winter Antiques Show in New York, even in uncertain times, we can still educate our eye and appreciate antiques for a good cause. As they say before take-off, in the event of an emergency landing, you must administer the oxygen to yourself before you give it to others. 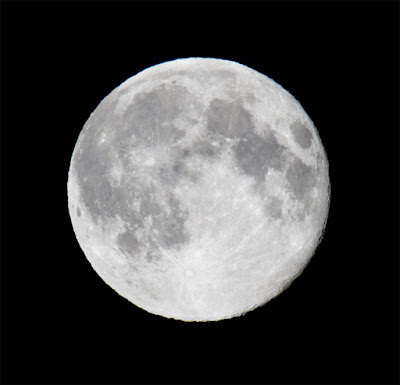 Be sure to administer a little oxygen to yourself, first, create an over the moon life and share it with others. Just the other day, I went to see the movie, "Marley and me" and walked out with tears. I had a dog growing up named "Snoopy" and remember to this day the call from my mother while I was away at college. Snoopy was gone. Our life with our dog Snoopy was gone, all in an instant. I know what it feels like to lose a dog and the way you never ever forget them. Earlier this month, I found myself here and felt compelled to draw this guy, "Moses" who is at rest and the most compelling post of the owner and Moses (January 3rd post). I decided to draw him and his Master. 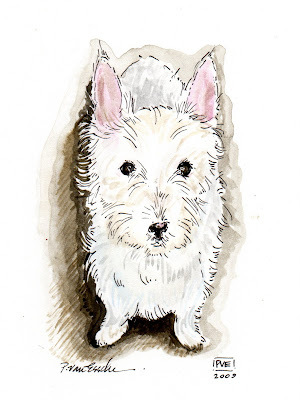 I shall be posting a series of drawings that are dedicated to dogs that have gone before. 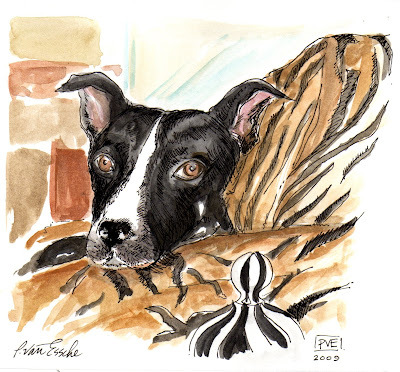 If you have a special photo of a canine (or feline) that you would like to have honored, please send me a photo. My thoughts turn to that of salt and light today. I love salt, not just any salt, but really good harvested sea salt. 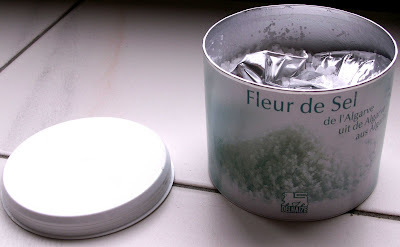 One salt that comes to mind is "fleur de sel" which comes from the Isle de re and there are Salt tasters, who are likened to that of a wine sommelier. Just a pinch is all you need to take you away to a warm and sunny spot. I encourage you to try this little luxury. 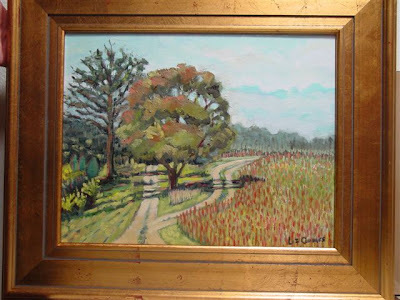 My sister Liz's painting "A fork in the road"
Our Father often quotes Yogi Berra, who is known for his "berraisms" - "When you come to the fork in the road, take it." How many times have you been standing at that fork in the road and had a hard time choosing. Which one would you take, the straight path on the left or that winding road? Did you decide which fork to take? There is a time for everything. After the long weekend, it is my time to paint and to focus on completing work and my dream to illustrate an exquisite book. In the above photo, do you see an hourglass. I have it near me, given to me by a dear friend. It reminds me that time is valuable as well as timing. Do you believe in timing and being at the right place and time? If given the opportunity to pick a time and place, where might you be now? My cabinet is full of collectibles. Royal Copenhagen China purchased in the city at an Antique shop for a song. A miniature bust, a gift from an Aunt who traveled the world and shared her stories and artifacts. Treasured porcelain place cards to mark one's place of honor at my table on special occasions. The pretty pink decoupage plate, a hand-made gift from my daughter which serves cookies or chocolate in style. Life has swiftly carried us away to a time where these items remain in a cabinet, under lock and key. Perhaps an inaugural dinner is just what I need to prepare to set my table with my fellow high ranking constituents. Will you be celebrating history in a special way by creating a special table or planning a memorable menu? The sheet of calligraphy tucked behind is the "grace" that was recited on my wedding day, a special occasion. A day full of creating a life of dreams. Let each of us give grace to the cabinet in charge and hope for the coming years to instill a life of honor, gratitude and dignity to our country. We have a winner. Random Number Generator via Math Goodies was fun to use! So the winner is blogger, small expectations. One ocean scene coming right up this cool cat. Thank you to each of you for your wonderful comments. Please visit often as I shall be doing more gift of art giveaways! When asked to illustrate a small little work for a blogger with an avid case of "bibliophilia", I immediately visualized a charming shop which one would ride their bike to, and spend hours perusing the shelves and the stacks of artful companions not only for content but for layout. How many of you have a little shop on your blog and need a store-front? 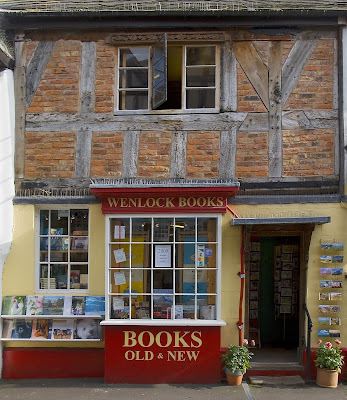 I think I will stay inside and peruse some on-line shoppes, after all, bloggers really do have all the best books and chic finds. 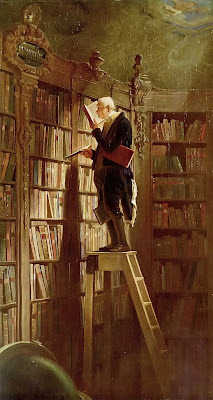 Feeling bookish today? The above image is from Visual Vamp, see my "gift of art" hanging above the etagere. Take a look at her post today and see more delightful photos of her stylish home. On my wall are several small works of "inherited art." The two above works, top - the hay stacks, bottom- the snow scene, were painted by my husbands Grandfather when he was a young boy of twelve. The orchid was given to me, (a secret) it is actually not real, although I love "real flowers" in this case I love the fact that this one is low maintenance. Two more paintings that hang on my wall. One I found at an Antique store in Kentucky and the bottom one was a gift from an artist friend. I am drawn to the water and beach scenes. I do love landscapes and the four seasons. The gift of art is timeless, it knows no season and can easily be handed down. Today I am giving a gift of art. I will draw a winner on Monday's post and draw a small treasure for you to hang on your wall. Leave a comment, what would you like to have hanging on your wall and I will draw it for you. The winner shall be selected randomly. All comments will be entered up until midnight Sunday. Winner shall be posted on Monday. Positively polar today, as the temperatures dip, the snow is falling and school is delayed for a few hours, so we have a fire in fireplace, the cocoa is ready and I feel as though I am literally in the rink ready to roll with the punches that the day brings. Anyone feeling on the brink with all this frigid weather? I would love to be on a warm sunny beach rather than on the ice. How about you? 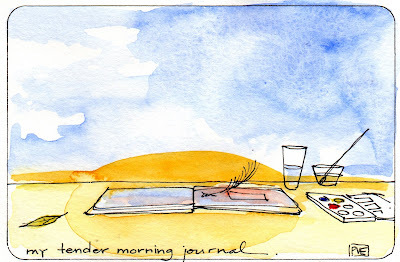 The tender mornings are a time to wake with the rising of the sun and greet the day with my journal and write as well as draw my thoughts and dreams here. I have been reading "Write it Down, Make it Happen"- and highly recommend reading this and writing or drawing your thoughts, fears and hopes down. How many of you keep a journal and when do you write or draw your dreams down on paper. What is your favorite journal. My journal collection seems to be growing however, nothing beats the Moleskine journals. There are a few other that I love too. My Grandma Elsie - "Cultivar I"
Allow me to introduce you to my Grandma Elsie known to me as the "cultivar." Although I was quite little when she went to heaven, I do have the fondest memories of her and her wonderfulness. 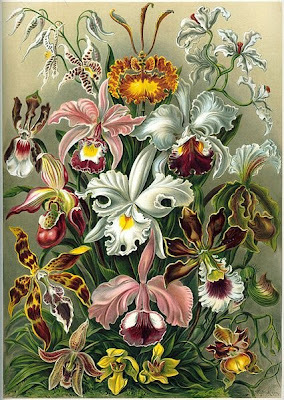 To list her many skills and elegant characteristics would be like describing an orchid. 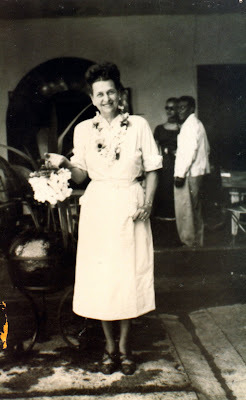 The above black and white photo was taken of her while she was in Mexico, so the story goes, the "Mexican Riviera." I simply adore this photo of her as she seems so enamored by such a splendid species or could it be the magical rug on which she stands. Can you see the chic couple in the background? I wonder if my Grandma Elsie exchanged small pleasantries, perhaps about the weather or the flora. A bouquet of skills such as sewing, baking, crafting and creating all were handed down to me, just as an orchid pollinates. I remember going to her home on the hill where she raised my Mother and breathing in such an intoxicating powdery smell of loveliness. The color that reigns supreme in my memory is "turqoise" as her home was awash with this color. I often wonder if she was inspired from that trip to the Mexican Riviera. I long to know where she stayed, which room, what did she pack and how long must it have taken her to travel there without a variety of modern day conveniences or inconveniences, no cell phone, no bothersome security checks. My Grandmother lived in a lovely home on a hill and in the dining room, there was a special drawer in the "side-board." I would rush to that spot, pull open that drawer and breathe in the heady smell of chocolate and wax. I would always find, Hershey's chocolate and a shoe lid filled with crayons and some sort of paper, usually that thick yellowy type of paper that I would later meet in school. I was only about three and I do remember these visits. The hum of ladies chatter, the smell of coffee and the laughter. I still ask my mother to tell me stories about her, the "cultivar." How did she raise my mother by herself. How did she make ends meet raising four children? My father loves to tell stories of his "courtship" with my Mother and the fabulous suppers that Grandma Elsie would prepare. My Father grew up on a farm in country and my Mother was raised at that time what was known as the "city." I think my Dad must of known that he had unearthed a rare and beautiful creature when he met my Grandmother, Lady Cultivar I, and her wonderful daughter, my Mother, Lady Cultivar II. He always tells me stories of what a lady Grandma Elsie was. 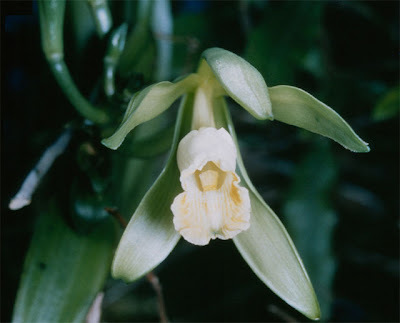 The orchid produces the wonderful vanilla bean. I think my father knew this, that the pod he fell in love with was cultivated in more ways than one and that my mother would one day be his very own i-pod. I just could not resist that pun. 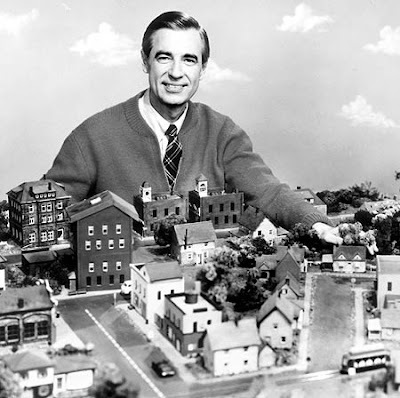 Mister Rodgers sporting a zip front cardigan "In the neighborhood." I am in the neighborhood for a zip front sweater to keep me cozy. Something about a sweater with a zipper reminds me of Mister Rodgers. Thrift shops here I come. What are you in the neighborhood for these days, boys and girls? Casting on the net on etsy is like fishing, one never knows what one shall catch. 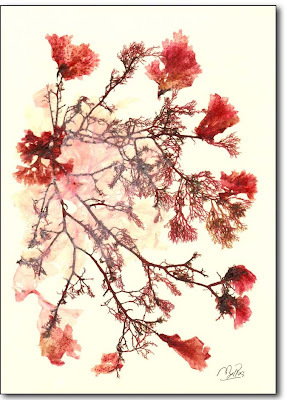 Lookie what was in my net, these stunning sea weed works of art! 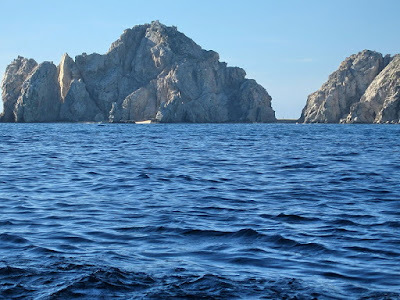 In the midst of winter, my mind wanders to warmer waters and to the sea. These are from Alganet on etsy, from Spain. Just imagine these framed and hung in any room, just love these rosy pinks. I can almost smell the salt and feel the sand between my toes, off to surf some more. 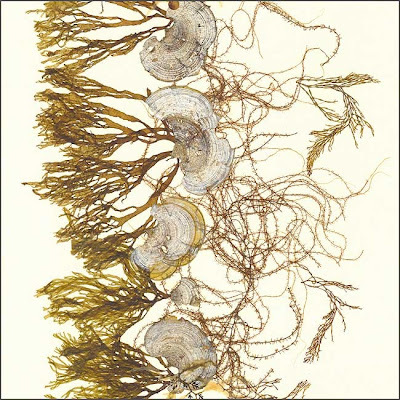 Oh, what a tangled web we weave and a bucket to sift through here in my net. Cast your net, build castles, dream a bit and enjoy the weekend where ever you are. When we bought our home, our 1st home (this home) - We never knew that we would still be here nor did we know about the odd yet witty chandelier that came with the house. I remember asking the previous owner (the only owner who built this home and raised a family of 3) about the history of the chandelier) and she proceeded to tell me with a spark in her eye, that she had bought it on Madison Avenue in the the 1950's at a Scandanavian Shoppe and the lighting designer was Finnish. Many a dinner party, this fixture has been the topic of conversation and apparently promised to not one, but to many - should we ever part with it. A dear friend had told me when we bought our home to wait a year, watch the garden, live with things. Wise words my friend. Here we are, the light still reigns, and while I have envisioned other fixtures, it still hangs, my saavy blog friends have all insisted that it should be restored. One of my chic and stylish city counterparts, told me immediately after delivering her 3rd in the hospital that she spotted my chandelier in a shelter magazine. (I will locate and post this today) I was impressed that she had magazines in the midst of maternity, motherhood and madness. But then of course, she has an "eye" when it comes to style scouting. I am so glad that I did not throw it out with and leave it for the garbage man. Surely someone like me would be out for the early morning trash to treasures hunt and pick this up to find out it is worth something. My husband says I have a way of knowing the worth and finding things that increase in value. I totally scored in more ways than one. I think I am finally beginning to see the light. Most nights I sleep so deeply, and then when I have had enough, I simply wake up and take the time to reflect and gather my thoughts in an uninterrupted way. It is my quiet time. Often, I am guided by something stronger that leads me to a place which I truly feel is for a reason or for some sort of higher power. A message, a sign that guides me. one quickly realizes that each of us have a master plan which does not lie in our hands. Life gives us things that are so poignant, so beautiful and sometimes just too hard to swallow. I posted earlier about today being my one year blog day but somehow it pales compared to this. This post marks my one year anniversary. If I were to calculate it in "blog years" as we do our dogs years, I just wonder how old I might really be. Only one year, and nearly 400 posts. I feel like it has been 1,ooo years since I entered this domain and I feel so much wiser. Each and every one of your comments are like "treats" to me. My dog, "Bentley" has been by my side, cheering me on with my work, and daily tasks, he is always here for me and listens to my every word. I love when I am in the blog world, he will come over, put his sweet head on my leg, which means, "enough" already. Well, then we have the "blogging police, my 3 and the warden." Only some of you will know what I mean. 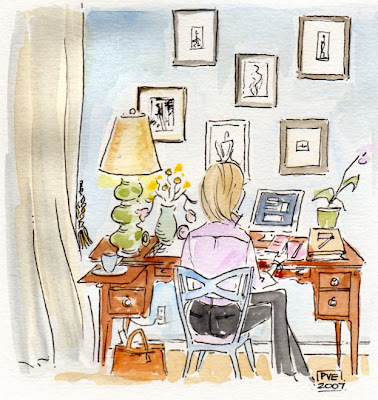 I do love the comments, "Mom, are you blogging again?" This blogging thing can be a full time career not to mention my real job of artiste, housewife and ceo of my domain. 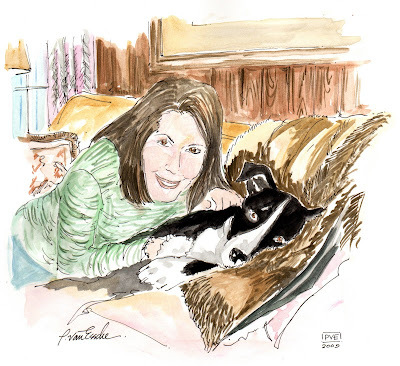 How shall I celebrate my blog birthday, candles on a cup-cake, a fresh cup of coffee in really good china, a glass of bubbly or a walk with my faithful and loyal companion. The good part is that each of you can sing to me and come on the walk with us or even toast to me. Here's to a great year here. I hope that when you visit, it is like feeling the love from a pet, unconditional and loyal. One year deserves a reward, or some sort of treat or comment! "Atta blogger!" Your comments make my day add up to a beautiful blog year. Thank-you, I am forever grateful and blessed with each and every one of you. Such a good and faithful group. From there to here. A moving day booklet. I was moved me to tears when I opened an envelope with a "we have moved" change of address card in the mailbox just the other day. I had done the artwork and sent it off knowing that it would be used for this, however, when it arrived, I was so touched at how beautifully it had been executed. 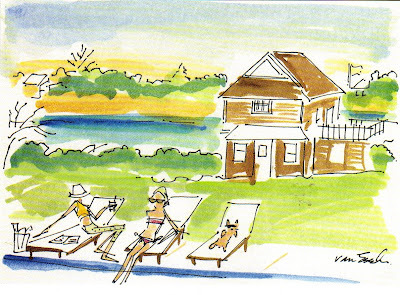 A little illustrated story, based on the "green acres" is the life for me, so cleverly composed by my client. The printing, the paper the layout and the little gingham ribbon that tied it all together touched me. I felt so proud of this, of the entire little package of love. The last page is one of my favorite drawings, this lovely home sweet home. 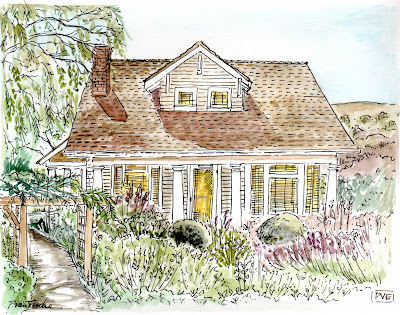 Can you feel the love of a new address in the countryside? I was truly moved to tears. 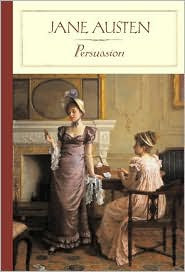 On my list to read is "Persuasion" by Jane Austen. I cannot fathom having so much influence over a friend to sway her from her destiny of a certain love. Have you ever read either of these books, above and below? 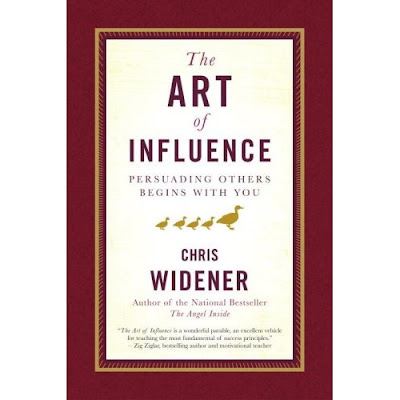 For the New Year, I made a promise to read more and to also put into practice some of the words that I have read, "The Art of Influence" by Chris Widener. Most artists are often isolated and part of the work is to retreat and go within. Much of the creative process is intuitive so to help myself, I am turning a new leaf and putting to use, the "the art of influence" and "persuasion." After all, this can only help me in many other areas of life such as raising my children and dealing with life and all the drama. Speaking of coaxing, how do you twist things in your favor in order to solve or create a problem? ( I am noticing that several of you are quite successful with this art.) I encourage each of you to leave a comment, pretty please. So many of us are feeling a little melancholy that the holiday door is closing and eagerly anticipating the fresh slate of a brand New Year. Soon it shall be time for each of us to return to work or back to our routine or daily "grind!" I would love to have a "gal friday" to provide order to my day and checking my list, refilling supplies, paperwork, categorizing artwork, organizing a work flow. If you had a gal friday, what are some of duties or tasks that you would relinquish?